This is a very long book, and if you don't have the time to dedicate to it you probably won't get that much out of it. However, once I had started the novel I found myself so caught up in the story that I never resented its size (although perhaps its weight...). Of course, at over 900 pages it could have been shorter, there are bits that could be trimmed, and there were vast amounts of detail at times, but for me it was a wholly immersive and enveloping experience. Following the story of Archie through 4 separate timelines, I worried that I might get mixed up between them, but with a few distinct differences between them it is easy to remember which Archie is which. After part one, you may well feel you know which the best life path is, but as the story goes on, every Archie faces hardship, and for some the early hardships better prepare him for the life ahead. By the end, despite its size, I was reluctant to finish, and I feel the end made for a satisfying conclusion. Not a book to read if you're in a rush, but a vast and epic story to be devoured. The starting point for this novel is the question “what if “? There is an explicit reference to Robert Frost’s poem, The Road Not Taken; here there are four roads, not two, in the life of Archie Ferguson, born to Rose and Stanley in Newark new Jersey in 1947, the year of Auster’s birth. Early on there is a key moment where Archie 2 falls out of a tree and asks himself the “what if?” question “Such an interesting thought ….. to imagine how things could be different for him even though he was the same. The same boy in a different house with a different tree. The same boy with different parents” and this is the thread of the novel. There is some excellent writing – I particularly liked Archie 3’s experiences as an American in Paris - but few memorable characters, Auster himself says that Amy Schneiderman is the most important character after Archie, but for me she is eclipsed by Archie’s mother Rose, a photographer with a strong independent streak who shines brightly in the early chapters, but fades somewhat as the Archies grow up, as perhaps all our mothers do. Another key scene in the novel is the teenage basketball tournament in the gym in Newark which turns into a stand-up fight between the white and black teams and prefigures the Newark riots. 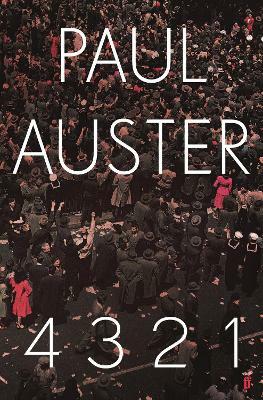 Auster is surprised that the black-white relations in 1960s America have not been more talked about by reviewers, but the impact is dissipated because none of the key protagonists has a real connection to the historical events recounted. Even when, much later, a black character, Luther, is introduced, who turns out also to have been in the Newark gym riot, he is in fact very like the other preppy college characters. Similarly, the Vietnam war and the draft cast a long shadow over the book and yet no one from Archie’s circle (apart from a distant cousin) are ever drafted. The versions of Archie’s life are not in the end that different – all writers, all sportsmen, all college boys – in the narrow milieu of New York and New Jersey with the added American writer’s fantasy of Paris. 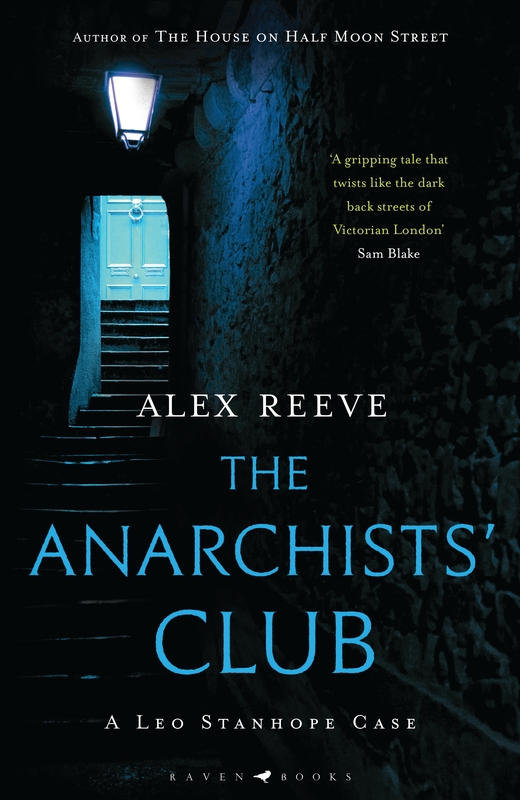 The novel is mainly introspective, despite the broad sweep of history, and it is no surprise that the Archie who is writing the novel ends up in Rue Descartes. There are references to Camus too and existential choices we make. Disappointingly though, the theme of fragmented lives is rendered in a conventional narrative style, from an author who I remember from his earlier works as a consummate stylist. Mr Auster has always been a tricksy writer, using quirky concepts often to good effect. The kind of ideas he likes working with are described in one of the versions of 4321 protagonist Archie Ferguson’s teenage life, when he writes a story, retold at excruciating length, about the life of a pair of shoes. He goes on to write another tale about a man who, facing a choice of three directions at a junction, takes all three, each with a different outcome. This is the concept of 4321. It is hardly a new idea, but it’s a device that opens up a wealth of storytelling opportunities for the writer. Unfortunately Auster’s elevated reputation seems to have exempted him from judicious editing in the telling of these tales, which could easily have halved the length of the book without losing any of the plot(s). At least this was my opinion after reading the first four versions of Ferguson’s childhood, where we got detailed descriptions of baseball matches and meals, full breakdowns of his parents’ various financial affairs and lists of books, always lists of books. The emotional impact of dramatic events is removed by the dispassionate writing style adopted. But as the Fergusons proceeded with their tediously observed coming of ages, as I waded through 1070 pages of lists, historical backdrops of Kennedys, Vietnam and protest and the minutiae of the growing Ferguson 1, 2 and 4’s everyday life including the painfully close observations of sexual awakenings, I began to understand what I think Auster is trying to do. He’s doing the opposite of editing his work. All the background information about a character that creative writing teachers tell you to discard, he’s including. And more. It’s Ferguson x 4 warts, w***s and all. An interesting experiment for the writer, but why should anyone be expected to read it? A boy falls out of a tree and we presented with four different turns that his life could have taken. My first thoughts were that this is the writing of an emotionally constipated man. The people in Ferguson’s life are described in terms of endless lists of facts about them. I want to get under the skin of the characters, really understand the relationships and what makes them tick, that isn’t happening but maybe that’s not the point. It occurred to me that perhaps this is Paul Auster’s attempt to describe the characters through the eyes of a young boy? How many of us do really know our parents and family members? As someone who lost close family at a fairly young age, my sister died when I was just sixteen and mother when I was nineteen, I occasionally wonder how I would see them through my adult eyes and how the relationships would have developed. I hope as the novel progresses and Ferguson gets older I will gain a deeper insight into him and his relationships with those close to him. Despite my longing to break through what feels like an emotional wall, I am enjoying this book so far and it must be touching me somehow as I did feel upset when someone died in one of the scenarios. It pleased me to know that they would still be around in the next story line. I do wonder though whether there needs to be quite as much detail as there is in this book. I do believe that I would find it a more a more enjoyable read if more was left to the imagination. Surely a shorter description of a behaviour or action could serve the same purpose of showing us the characters thought processes, without the need to describe in minute detail the whole process leading to a single thought. I will continue to plod my way through this book, whether I have the patience to see it through to the end remains to be seen. Patience, persistence and time are what you need to read this book. There are some gems in this book, but they are hidden between lists and exact descriptions, often long and with no emotional content, or very intellectual and full of literary references. It could be a lot more succinct: if you don’t get the Abbott and Costello reference it doesn’t help by listing all the films they have made. Still, the content is very human; what could have happened if my circumstances or the choices I made were different? Who hasn’t asked this of themselves? But perhaps not to the same detail Ferguson or the author Paul Auster asks. But then again, I am a northern stoic and found this detail irritating -- I was screaming inside Ferguson just get on with your life. The historical references I did like, always do in a novel. Ferguson in the last chapter talks about the deaths as being emotionally hard to write, but I didn’t feel any of this emotion reading the book. I felt I didn’t know the characters by the end of the book. Given the investment you needed to give the book I felt cheated of my time. But I did get a better experience if I binge read. Recommended for: those who like detail, lists and have lots of time to read. This month I was made redundant and, at the same time, my laptop limped to its final stages of being. Sluggish, unfit for purpose and yet I had a CV to draft and update. Added to this my friend, Dave, is repainting the house and ripping up carpets. Still, here was this large book - a huge tome - to immerse myself in, take me out of this world of worry and irritations and written by an author much admired by friends. A semi-autobiographical story of family, love and a life lived four ways. A book of many pages and a level of such sprawling, tedious detail that was unnecessary. The interjected historical events in two of the storylines felt awkward and heavy-handed. I had to explain to my children when they were of an appropriate age about self-editing when recounting their day to keep their listeners engaged(after a particularly long and rambling conversation about packed lunches). I found myself wishing Paul's mother had had this conversation with him. I wanted to like it, but I found it a laborious read. As I turned the first page, I felt I was about to read an 'important book'. Around a third of the way in, I thought my perseverance was paying off. I never again reached that dizzying height and the voice I read the author's words in was monotone. I've had to review the book from my phone due to the irritating drag of my laptop - which is very much the feeling reading this book elicited. In the end, Dave the painter found himself trapped in our toilet and had to bust the door handle to escape and now we need something weighty to keep the door shut when the toilet is use. I know just the thing! A box of Paul Auster’s 1070 paged Man Booker Shortlisted books, landed with a huge thud on my desk about a fortnight ago. I faithfully distributed it to the members of my club, jokingly advising them to bring a cabin sized wheel suitcase to bring it home in. One member asked me to post it through her letter box, how we laughed! This is a monster of a book. Is this a deliberate kick back against the current fashion for short novels and stories or is it the last roar of the old order? The book tells four stories of Ferguson, a what if, of simultaneous, meticulously described lives, running in parallel through the last decade of the 20th Century. In this set up Auster colludes with Michel Foucault’s view of humanity, we are only ever the sum of what came before. There are individual riveting pieces, and insights into everyday America life, but I found the tone and prose lacking in emotion and undulation. Perhaps this is the authentic voice of New York and it is a cultural gap I needed to put more effort into clambering over. This book does not rush, it takes it time and I do wonder if I was its intended audience. I am a big fan of American Literature. In fact it's one of my favourite genres. Unfortunately the level of detail that ground into the featured family's existence had me thinking that maybe Paul Auster has finally taken navel gazing and existentialism too far. Saying that, a reader of this review must be aware of my headspace while reading it. I have just landed a new, quite mobile job and doing plane flights with limited baggage, so am at a very busy time in my life. 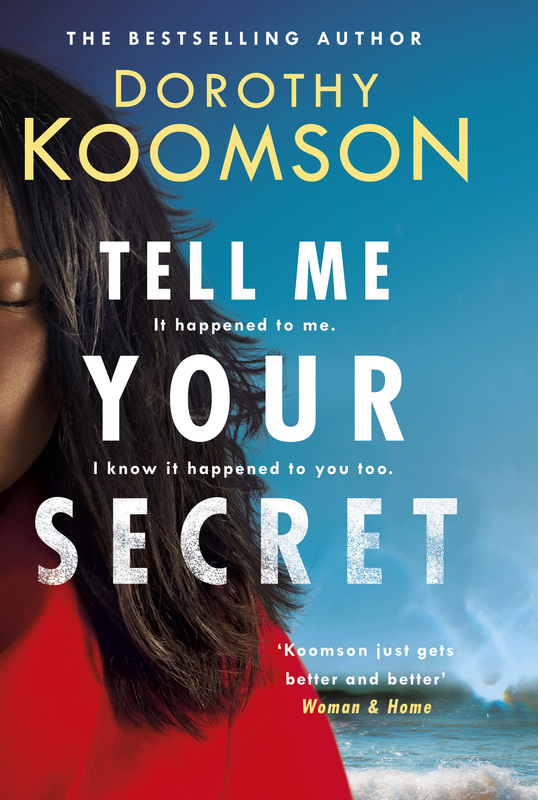 Hauling around 1000 tissue pages of book has been frustrating (I am not a fan of Audible so love feeling the paper) and it is one of those books that if you lose your page, it's very frustrating to find it again as the scenes set are very similar. There is also a selfishness in the way it has been written. That is, to assume one has all that time for not that much to actually happen. I have had similar frustrations when watching a Paul Thomas Anderson movie for example. That's not to say I regret watching it. 4,3,2,1 is long and considered, much like the countdown, with an irreverence in the way it drags out a tale. It assumes the reader should have the time in their short lives to become fully absorbed in the author's life (I assume it is autobiographical to a large extent) and be able to take a good chunk of their precious time to become entwined in their gaze. I would rather spend time reading War and Peace with the precious hours I have available at the moment. However, this has been a forced meditation so if you go into it with a mindfulness attitude there is a possibility coming out the other side slightly tweaked as a person - the sign of a good book overall in my view. I do know that if I was in a quiet place in my life, with time to on a rug and reflect, this would have been a wonderful novel as the richness is in the minuatae. It might have been more fun to read if I did not know the Sliding Doors effect in advance. I will with some irony put this as a spoiler as it is in every review you read on the book but will not go into the same detail. Sometimes imagination is better than real life and this is a novel where if I decided to write an auto-biography, I would probably inadvertently highlight things of importance that were irrelevant to other people. I suspect Paul Auster has become lost in his own game here. It is clear and well written but despite the unoriginal twist on life scenarios, and the foregone conclusion that there are just some things that don't change in our DNA, right now I am involved in much deeper reflections on what it is to be human with other philosophical discussions going on around AI and machine intelligence. I think Kate Atkinson did a much better job of making me think about the potential of parallel universes in her book, Life After Life. I did parallel read this with our book group and another reader was revelling in the references to Phillip Roth. This indicates that a slightly more cultured reader might glean literary nods to past authors which I imagine would be fun. I thought that the centre of the narrative personally was slightly disappointing. I am humble enough to say however, that given the impatient space I am in my life right now with allocating time, that my review should not be taken too seriously. I wonder if Auster could write a more condensed version for fans who are juggling the pelt of choices in this booming information age...or perhaps that was his point. To make us slow down in the same way our past ancestors did and munch slowly over the cud of life.